A rowdy No. 20 Michigan lacrosse team entered Ohio stadium today with one thought on its mind: to end Ohio State’s perfect 6-0 all-time record against it. Unfortunately for the Maize and Blue, Ohio State had a different result in mind and defeated its arch-rivals 8-5, marking its first victory inside The Shoe this season. It also snapped Ohio State’s five-game losing streak. Michigan’s confidence, due in part to the team owning its longest ranked streak in school history, was quickly suppressed when the Buckeyes (6-6, 1-2 Big Ten) came out of the gate with three rapid goals. Ohio State’s cohesive defense and aggressive offense made sure that it never gave up the lead to the No. 20 Wolverines (7-5, 0-3 Big Ten) and, amidst the roaring cheers of an enthusiastic home crowd, closed out the game with a refreshing win that broke its losing skid. 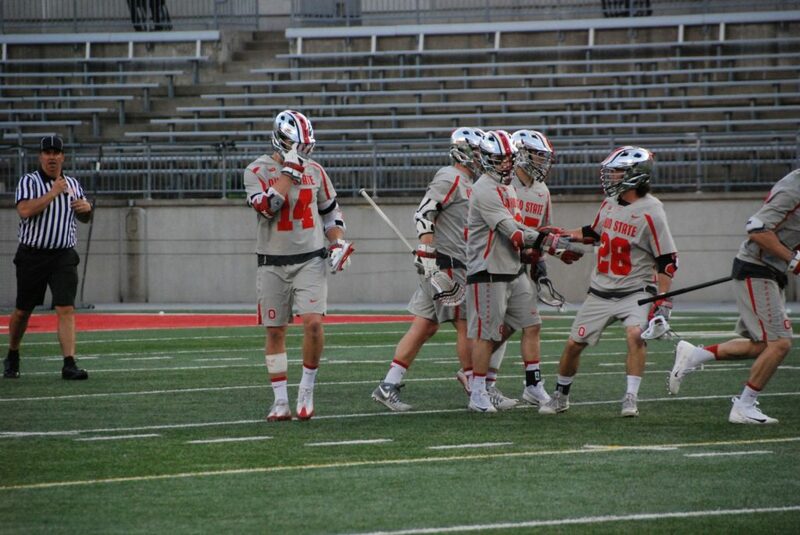 Ohio State’s All-American sophomore attack Tre Leclaire paced the team’s offense, recording a hat-trick before the end of the third period. Five other Buckeyes found a home on the scoreboard as a result of a composed and dynamic offensive effort. 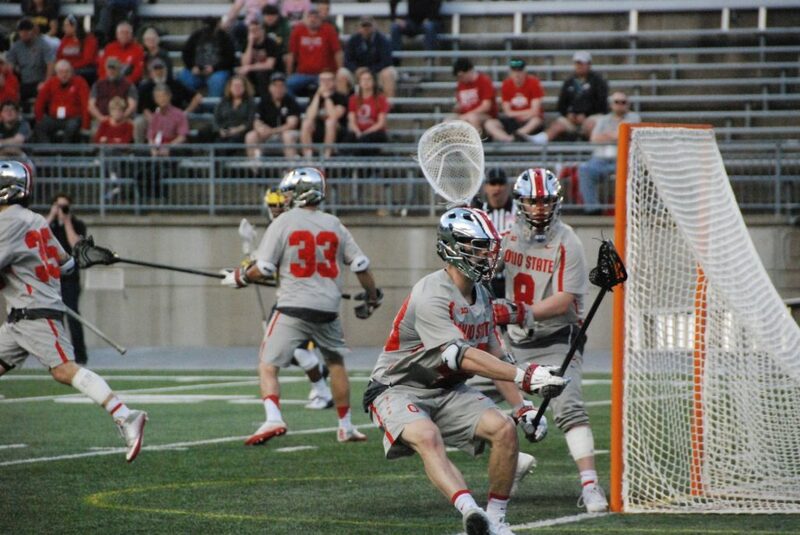 Ohio State rattled the cage more than a few times, putting up 44 shots on goal, while its effective defense, spearheaded by senior defensemen Ben Randall and Erik Evans, held Michigan to just 23. Evans, Lori and Ohio State head coach Nick Myers all agreed that Ohio State’s defensive success was a primary reason the offense came out firing on all cylinders. Michigan’s offense was led by junior midfielders Decker Curran and Brent Noseworthy, who combined for three of five of the Wolverines’ goals. 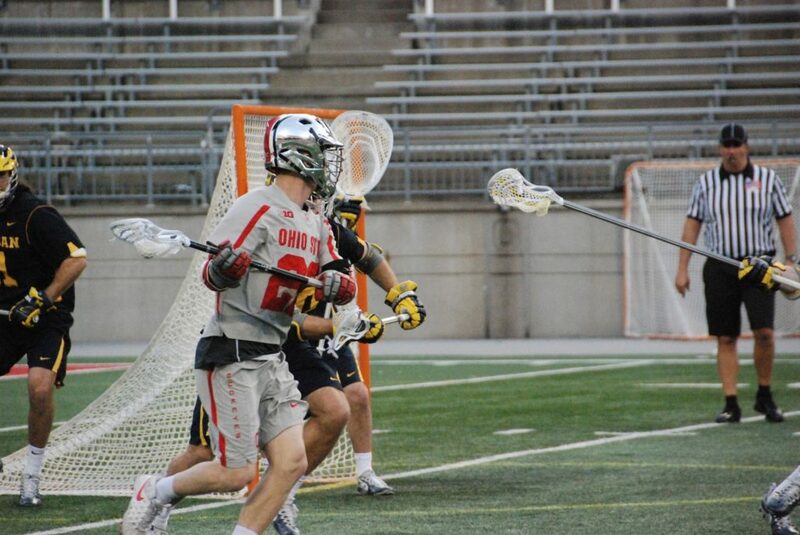 Defensively, Michigan’s senior goalie Tommy Heidt did the best he could, making 15 saves on the night, but was ultimately overpowered by the Buckeye onslaught. Michigan’s loss is its third in Big Ten play, while Ohio State broke new ground and recorded its first victory in the conference and kept its playoff chances alive. “This is a Big Ten win – they’re hard to come by at home, a much-needed win. I know this team’s got a lot of confidence and knows there’s a lot more out there for us,” Myers said. Next weekend, the Buckeyes will be put to the test when they hit the road to face No. 1 Maryland (9-1, 2-0 Big Ten) on its home turf.